High Sierra Update Is NOT Showing in Mac App Store? Here's How! High Sierra Update Is NOT Showing in Mac App Store? Here’s How! Last night I was planning to upgrade my MacBook Air to latest macOS High Sierra. To my surprise, there isn't anything showing up under "Update" tab of Mac App Store. I haven't received any official notifications regarding the update from Apple either. What should I do? One of my teammates also had the same confusion. MacOS High Sierra update didn't show up in Mac App Store 'Updates" tab at all (nor "Purchases"), though Apple had an official news feed stating the update was available as a free update four days ago. Well, Apple wasn't lying 🙂 It's just a bit tricky to download High Sierra. I'll explain the reason why later. 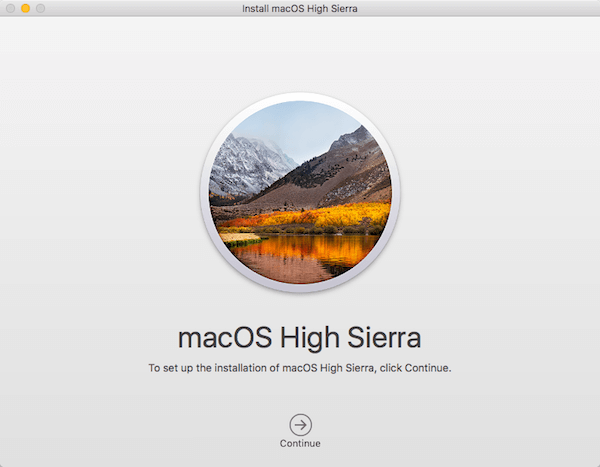 There are a few important things you should check to prepare your Mac to High Sierra. They may take a few moments to go through, but totally worth it. Next, here is a step-by-step guide on how to properly access the download page of High Sierra and download the package. UPDATE: now that the latest macOS version is Mojave, see how to install macOS Mojave on Mac App Store. Step 1: Open App Store on your Mac. You'll probably end up here. See the "Updates" tab? This is the place you're probably watching for the update, right? Step 2: Click on the "Featured" tab. The thing is the High Sierra downloadable file is in the "Featured" tab. Click on that tab and you'll see a few slideshow-style images rolling back and forth. One of them is this one with the text "macOS High Sierra - Your Mac. Elevated." Click on it. Step 3: Click the "Download" button. You'll be brought to this page, where a "Download" button is clearly displayed there. Click the button to get started. Step 4: Install macOS High Sierra. Once the download process is complete. A new window will pop up asking to install the new operating system. Note: the installation process could take quite a while, though it depends on your Internet speed and the Mac model. Why isn't this update showing up on App Store? Honestly, we don't have the right answer. Usually, Apple pushes out a notification for every major update and you'll be notified via the Notification center (make sure you've enabled it). For the newest macOS 10.13 High Sierra, it's likely rolling out slowly in the first week but eventually, we believe you'll get a notification like that. One more thing: not sure if you've heard about this security issue with the latest macOS — a hacker recently found a vulnerability in macOS High Sierra that could allow any installed third-party applications to steal usernames and plaintext passwords of online accounts stored in the Mac Keychain. Therefore, it'd be wise to delete those keychain data immediately once you finish the installation, just in case. Also, consider using a password manager software to manage those passwords. I hope you find this above guide helpful. Let us know if you have any additional questions about High Sierra or computer related issues.